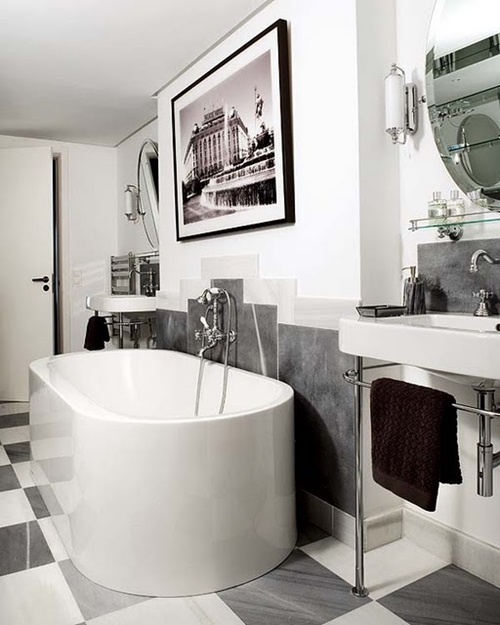 Since the gilt edged elegance of olden days and to our present day, art deco has been ruling the design world. It seems to never go out of fashion. 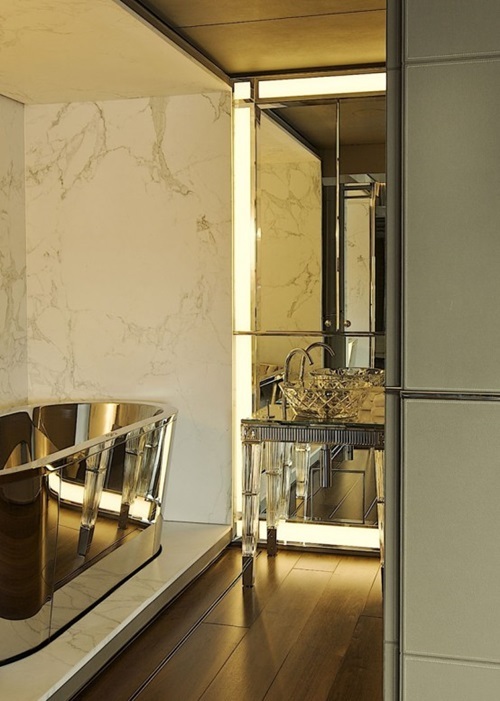 Even when you pick a style that has nothing to do with art deco; you’d be surprised how it’s insistently disguised in many little nuances in that style – spicing it up gracefully. 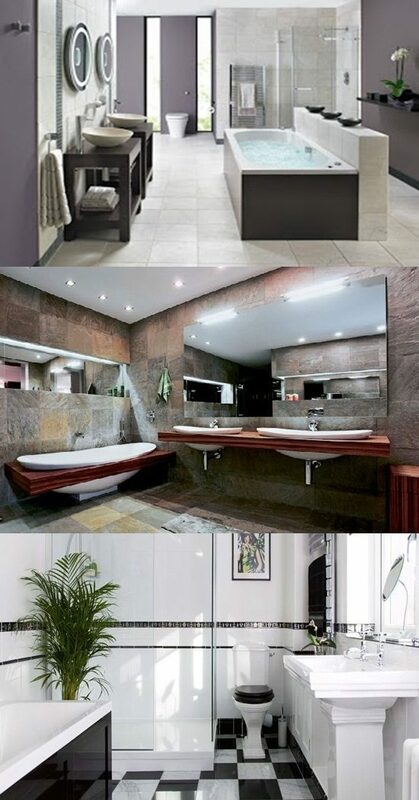 One of the most spaces that lends itself to Art Deco style these days are bathrooms. 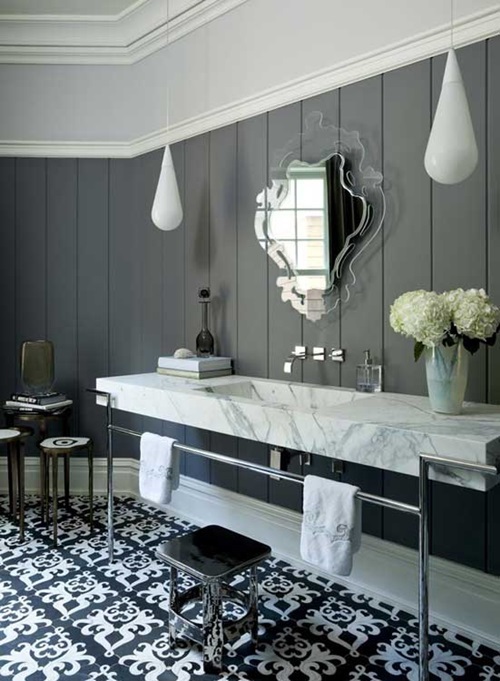 Art Deco bathroom features geometric angular shapes and abstract motifs, shiny glossy surfaces and black lacquer finishes, and many more characteristics that would eventually create a bathroom that exceed your topmost expectations. 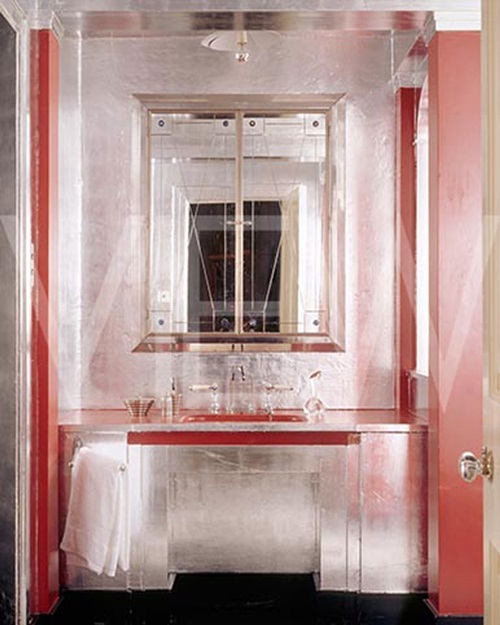 Read on for some inspiring ideas pertaining to that glamorous style. 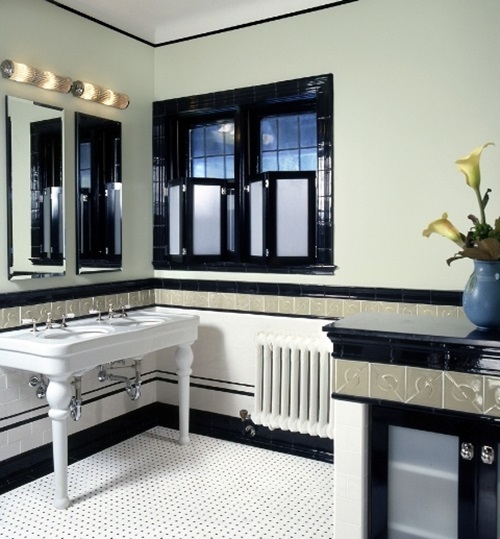 Black, white, and chrome were the typical color scheme used in the Art Deco bathrooms back in the 1920s. 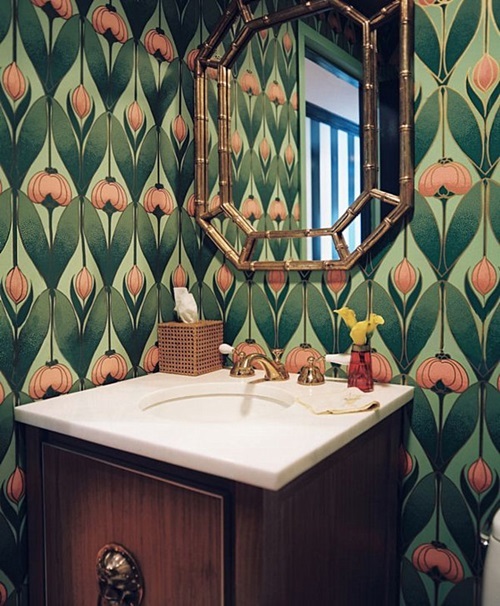 Alternatively you could go for brighter color patterns such as mint green, pink, salmon, and yellow. 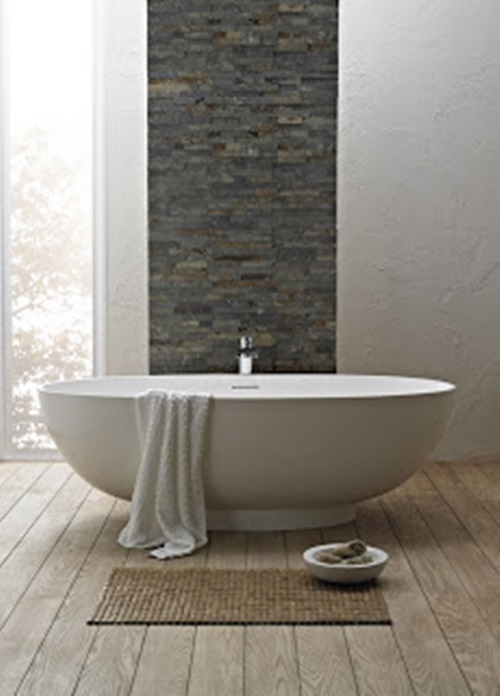 Angular geometric shapes are highly focused on. 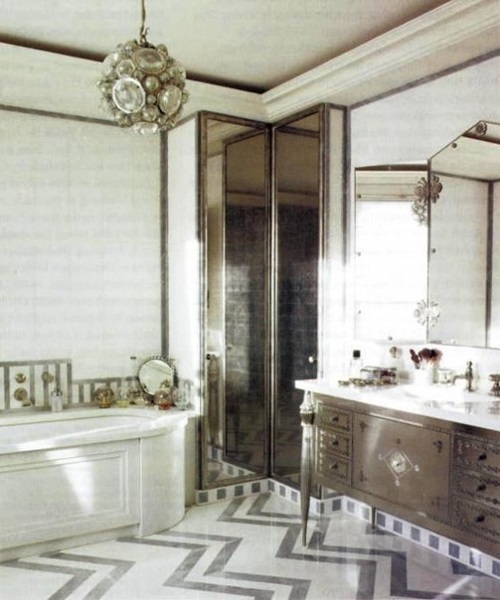 Therefore, consider floor tiles in shapes like chevrons, hexagons, or zigzags. 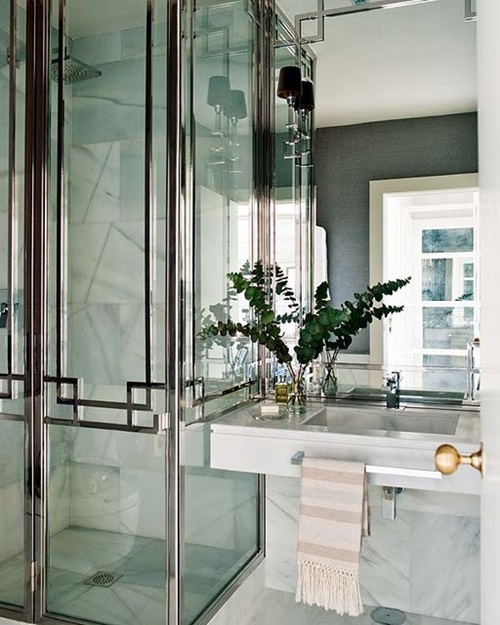 Go for tall vertical faucets and angular taps. 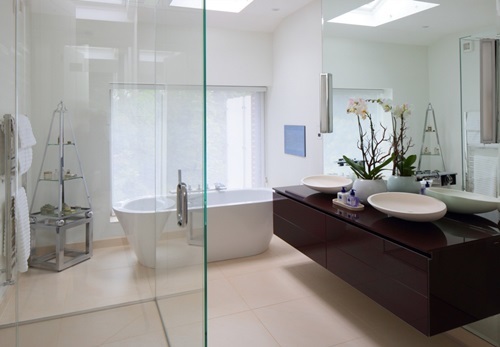 Pick a squared or rectangular sink basin. 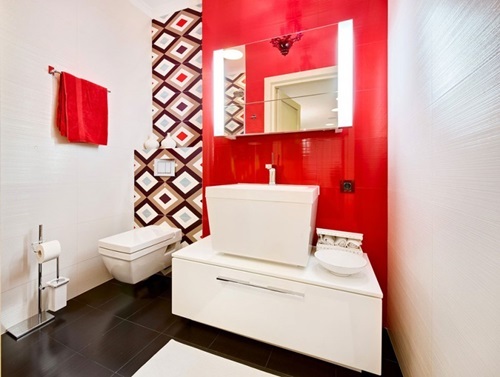 Also to compliment the ultra-ritzy statement, place an area rug that has geometric prints all over. 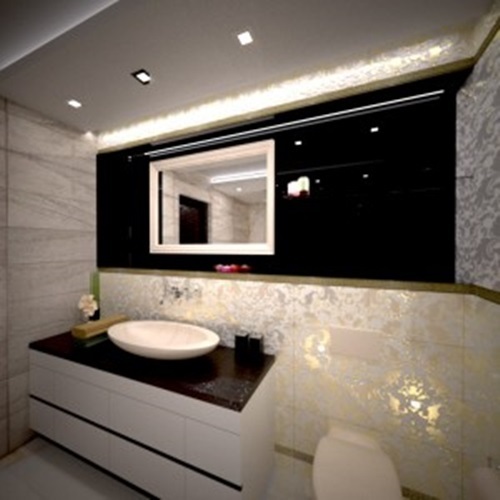 The materials you should be opting for range between chrome, vitreous marble, and stainless steel. 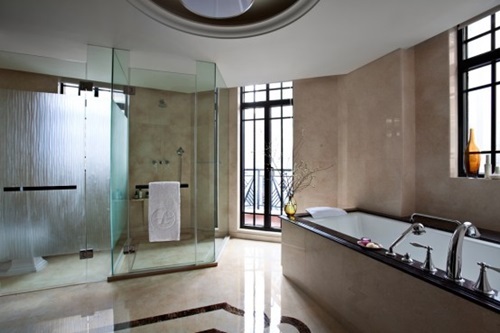 Also one material that is closely associated with Art Deco bathrooms is glass. 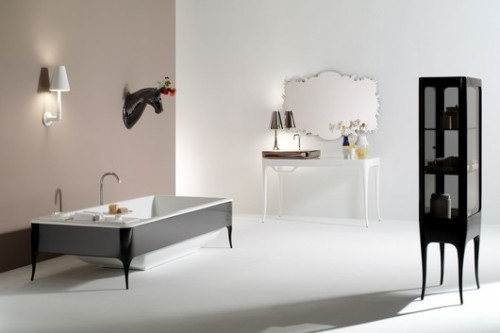 You can use it with shower doors, wall lamps, iridescent glass-tiled bathtubs, and of course mirrors. 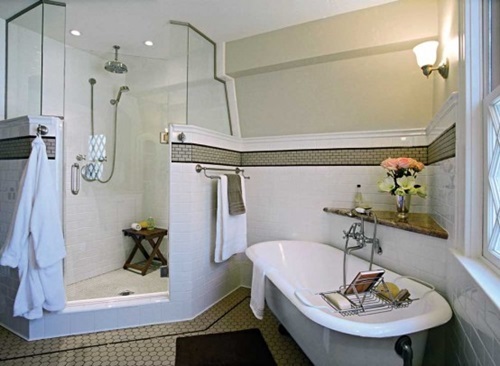 If you are leaning toward a more traditional look, pick the classical freestanding claw foot bathtub and a crystal chandelier. 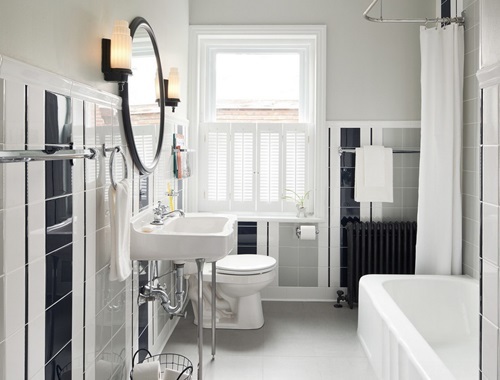 If you’ve already established a modern theme around, then a freestanding roll top bath would be ideal along with wall-fitted sleek light fixtures. 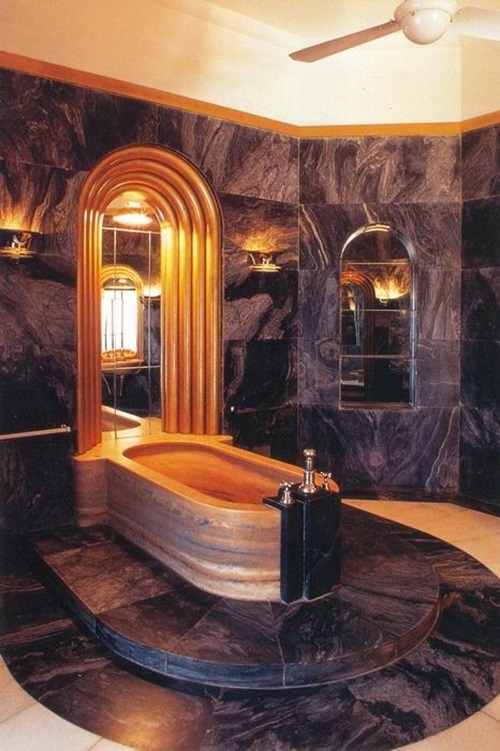 Best aspect about Art Deco style is that it works magnificently with whichever theme you choose.